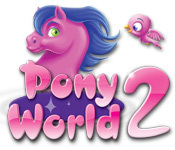 Pony World 2 is rated 3.5 out of 5 by 4. 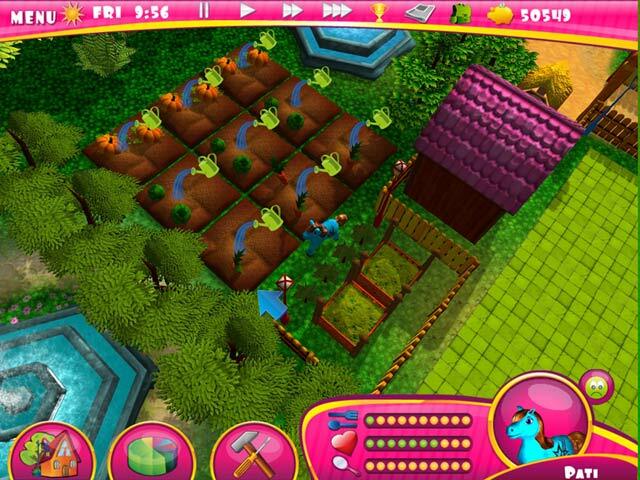 Rated 5 out of 5 by kit1717 from enjoyable simulation game Life as a pony takes a little bit of getting used to. Also, the instructions about how to approach a simulation game are lacking. Since I adore simulation games, I am used to having to decide what to do next to move one towards whatever goals one selected when creating your avatar (in this case, a pony). The overall idea is to keep your pony healthy and happy while doing activities that bring you closer to your goals. To figure out what goals you want to go toward, I recommend creating a pony for each and playing around with each one for a while to see what it takes to progress. I would actually give this game a 4 because of the lack of explanation provided for players who do not have a background in playing simulation games. I play with all sounds turned off, so I cannot comment about that part of the game. Wandering around and trying out stuff to see what effect it has is fun for me, but may not be everyone's cup of tea. As always, try the free minutes to see if you like it. I recommend playing other simulation games first, though, so you get the overall idea of what it is like to play this type of game (because this one does not provide enough guidance for those new to this type of game). Rated 5 out of 5 by RKDN256 from It's Like a 3-D MMO Without the Drama (or People) I think this games deserves a better rating than it's received so far. Apparently a few people have assumed from the theme that this game is meant for 4-year-old kids. Here's a rule of hoof to help: If you can't read and understand words such as, "Aspirations", "Colleague", "Exhibition", "Occupation" or "Sociability", you're too young to play. The menus and controls do seem a bit confusing and inconsistent until you get used to them, but I've seen worse. The one serious flaw is that the mouse cursor is programmed so badly that it lags behind your movement, so you have to time your mouse movements, and it takes some patience. I've tried it on different computers and had the same problem. A fast graphics card helps a little, but not enough. The game itself is essentially a life simulator, where you have to take actions according to a daily cycle, including eating, sleeping and grooming, while working to increase your stats such as money, intelligence, looks, etc. The use of equines instead of humans is really just a cosmetic difference. The world they give you is decent in size, and there are plenty of varied activities and mini-games. None are mind-blowing, but a lot of high-rated games on BFG have much weaker mini-games. 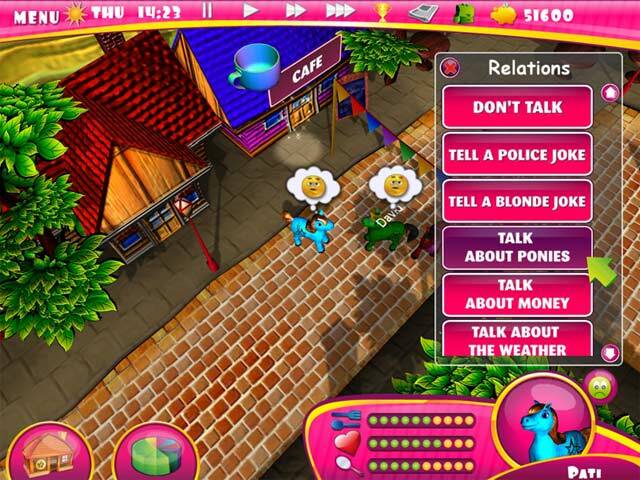 There are a lot of other "ponies" wandering around in the game, and you can meet and develop relationships with them. At first glance, this may look like a massively-multi-player virtual Internet world, but none of the other ponies are controlled by a live person, and in fact they are dumb as a post. In some ways that's good though, because they'll never make demands, insult or scam you, ask your age/gender/location, or do anything cruel. The equivalent of a conversation here involves a handful of menu options and brief, wordless animation. It's actually kind of nice that way. True, the path to achieving the goals in the game are not really obvious, but that's because it is a life simulation and not really a game in the strict sense. It definitely isn't a short game. I've played a little each day for weeks without finishing many goals. Some notes that may help: * Letting your pony go without food/sleep/hygiene will cause ailments that they have to cure at the pharmacy, but you can only see one ailment in the status screen at a time. Therefore you have may have to enter the pharmacy several times and re-check before you are fully healthy. * Notice that ponies have a "marital status". You can develop a relationship with a pony that is already married, but as best I can tell that pony will never leave their spouse for you, so you need to make sure the pony you are dating is single. * There is a secret button on the status screen that you can click to see a list of all ponies you've met and what they like to talk about. It looks like a pony-head icon in a circle, but it is clickable unlike the other circle icons. * Only certain businesses are open 24-hours, so it is a good idea to choose an occupation at one of those places. * Save your pony money for building up your stats. You can get enough food starting out by looking for fruit in the forest, and later you can grow cabbages or pumpkins on your farm. Rated 2 out of 5 by angeChocLover from Difficult to figure out I played the trial version of this game, looking for something new that my kids could try. When the tutorial had finished, it was still unclear how to go about achieving set goals. There are too many steps to take and things to click on in order to complete a task. It is a fun and colourful game that I thought my kids would enjoy, however it's just too frustrating to try and figure everything out. I will not be buying this one. 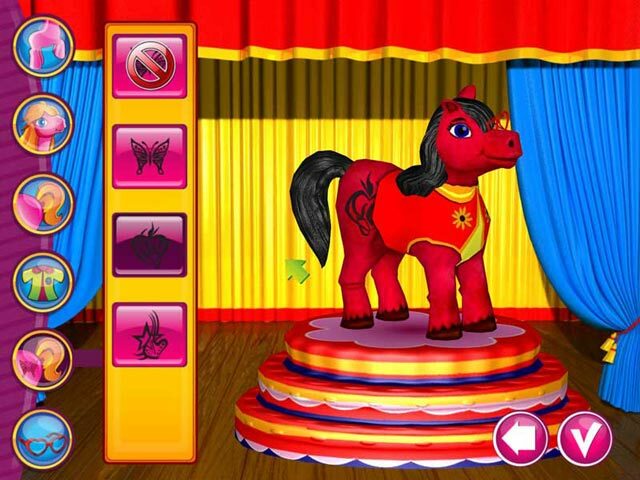 Rated 2 out of 5 by Nyrhtak from Pony World 2 Purchased for grandchild, not very user friendly. Still trying to figure it out. There is not an editorial or help screen, so it makes it difficult to try and teach a child what to do. Frustrating for both of us.